It’s that time of year again! Time to show off your mad pumpkin carving skills to come up with your very own crab-o-lantern. 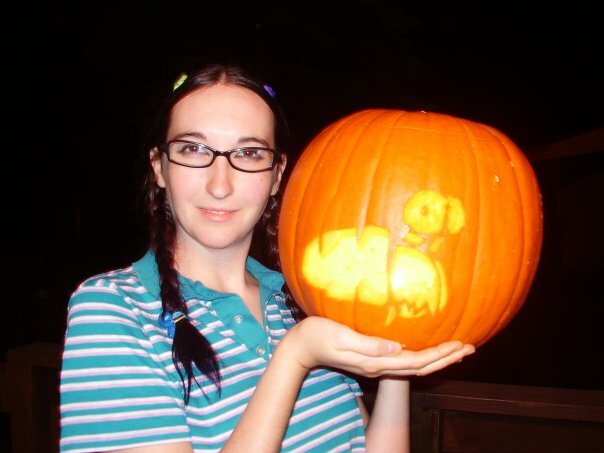 First you need to plan out a hermit crab related design for your pumpkin. Then you create it. Carve, sculpt, paint, build… if you can dream it and it involves a pumpkin and a hermit crab, it qualifies! Now take a photo of it! Locate the proper forum post (thread) on the contest forum. Be sure to include your name and username in the body of the email so I know who you are. You can enter more than one design if you are that ambitious. The pumpkin should be created and designed by YOU. (Stencils are ok but no stealing photos from the internet and entering them as your own work, that’s just not nice). At the end of October we will place all the entries up for a vote like always and let the members pick the winner. If you aren’t registered on the forums you will be required to sign up to enter the contest, but it’s free to sign up. So get busy planning your Crab O’Lanterns!